Having beautifully radiant, clear and smooth skin is easier than ever with Avalon’s MediSpa treatments. See real results in hair reduction and skin rejuvenation quickly and comfortably thanks to our FDA approved, best-in-market IPL/laser therapy unit from Palomar Medical. A 6-treatment series recommended for best results. A 3-treatment series recommended for best results. Bask in the glow of more youthful, beautiful skin. Pulses of light make all the difference because they target pigment and vessels in your skin without harming surrounding tissue. The result? You feel little to no discomfort during the procedure, and your skin can look and feel better than ever. You can expect to see a decrease in the appearance of skin pigment and vessels for an evener skin tone. Look your best every day with permanent hair reduction. Liberate yourself from the constant need to shave and wax unwanted facial and body hair in order to feel and look your best. With light-based permanent hair reduction, just a few simple treatments is all it takes to permanently minimize hair growth, revealing clear, silky skin that’s ready to bare every day—and all year long. The secret lies in the light-based technology that targets and destroys hair cells responsible for hair growth without harming surrounding skin. It’s a simple approach to permanent hair reduction that’s fast, easy and FDA-cleared. Best of all, treatment sessions take just minutes and are practically pain-free. It’s the hair reduction solution you’ve been waiting for. Permanent hair reduction is available for all skin types, including very light and very dark skin, and most hair colors. Your provider will determine if you are a good candidate for the procedure based on a variety of factors. Several treatment sessions are recommended for the best aesthetic outcome. Permanent hair reduction technology can only affect hair in active phases of growth so several treatments are needed to affect all your unwanted hair. You do not need to let the hair grow out between treatment sessions. 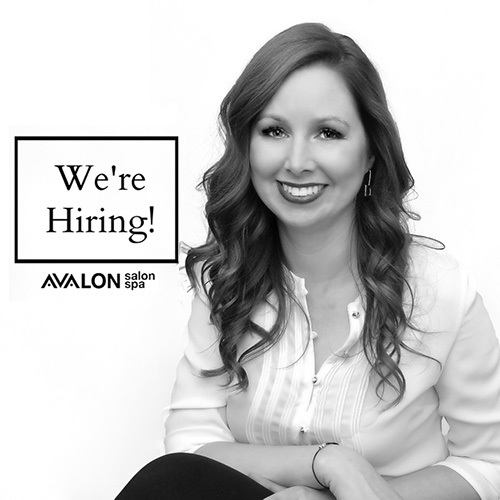 Come in or call and speak to an Avalon professional to learn more. Fractional laser skin resurfacing can quickly and easily improve a multitude of skin flaws. It’s the skin resurfacing solution that can give you youthful, touchable, and beautiful skin from head to toe. Beautify your skin with fast and easy laser skin resurfacing. Ask your Avalon SalonSpa technician about the right laser skin resurfacing option for your individual needs. Laser skin resurfacing works on many skin types, including very light and very dark skin. Different resurfacing options can knock out the deepest wrinkles, improve the most challenging scars, and help correct a wide variety of other skin imperfections. Your provider will discuss treatment options with you. Your provider uses a fractional laser from the company that invented and patented micro-fractional laser technology. Fractional skin resurfacing with Palomar uses laser energy microbeams to create areas of affected tissue that extend through the epidermis into the dermis. The body’s natural healing process creates new, healthy tissue to replace the areas of affected tissue, resulting in healthier, younger skin. Most treatments last no more than an hour. Depending on the condition being treated, your provider may recommend a single treatment session or a series of progressive treatments for your best results. Usually, you may resume your regular activities the same day following some treatments; more aggressive procedures may require several days of healing. Ask your provider about what you can expect from your treatment. Depending on the options your provider selects, most people feel minimal discomfort during and after the treatment. In some cases, your provider may recommend mild pain management options during the procedure and/or for a few days following the treatment. Depending upon the treatment option your provider recommends, you can expect to experience a temporary redness, warmth, and swelling at the treatment site, which typically lasts only a few days. In other cases, some post-care wound management may be necessary for a few days following treatment. Your provider will discuss potential side effects and your posttreatment expectations with you based on the type of treatment you’ll receive. Laser treatment for stretch marks reveals more beautiful, touchable skin. Just because stretch marks are normal doesn’t mean you have to live with them. Finally, there’s a treatment for stretch marks that help give you the clear, smooth, touchable skin you’ve been dreaming of. Laser stretch mark treatment is a non-surgical procedure that uses pulses of fractional laser light to break down stretch marks and improve the appearance of your skin. In just a few simple treatments, redness can be reduced, stretch marks can be smoothed, and your skin can be ready to bare. Your provider uses a fractional laser from the company that invented and patented microfractional laser technology. Pulses of fractional laser light are used to break down stretch marks, triggering new tissue production at the site and helping to improve stretch mark color. The new collagen can leave the stretch mark smoother in texture and reduce the appearance of the stretch mark on the skin. Get the beautiful skin you desire. Why go through the expense and hassle of hiding your scars with makeup and clothing when you can reduce them with laser scar treatment that’s fast and easy. Fractional laser scar treatment is the more comfortable alternative to surgery for acne scars and surgical scars, with remarkable results on any skin type, including very light and very dark skin. Pulses of fractional laser light break down scar tissue, triggering new tissue to form in its place. It’s a fast and simple procedure with little to no downtime and minimal discomfort. You’ve lived with the embarrassment of your scars long enough. Choose laser scar treatment today— and watch those scars fade away! Your provider uses a fractional laser from the company that invented and patented microfractional laser technology. Laser scar treatment uses “fractional” pulses of laser light to break down scar tissue and help generate healthy new tissue, light in color and more even in texture. Typical side effects include a temporary redness and swelling at the treatment site, which should last only a few days. Your provider may discuss other potential side effects with you. Want to learn more about a treatment of Medispa?